Imagine if you can have a fresh green salad in February or some juicy red tomatoes in November. Sounds like a dream doesn’t it? Maybe you’ve heard of it. Maybe you’ve seen it. Maybe… it’s cold frame gardening. Yes. All of this can happen in your very own garden. And you don’t even need a lot of space for this. So for your convenience, we have gathered the most important and basic info you will need about cold frame gardening. Cold frame gardening is a form of planting different types of green life in an enclosed environment with the aim of extending the growing season of the plants. Building a cold frame is not a hard task. All you need is to make a wooden panel frame from an old glass window and put the glass over the frame. The glass roof should be oriented towards the sun in order to capture as much light as possible. If you do not have glass you can use a thick transparent plastic sheet. The whole idea of the cold frame’s structure is to protect the plants from the harsh conditions of late autumn, winter, and early spring. It shelters the green life from snow, rain, strong winds, hail and ice. Thanks to the window roof it also collects sunlight and warmth, keeping them inside the frame for a longer time. A cold frame structure usually keeps a difference of 5 to 10 degrees between the inside and outside environment. You place the seeds inside the frame and they grow into plants, resistant to the cold weather. Still, the collected heat needs to escape in order not to fry out your crops. The best thing you can do is to install a vent with a closing mechanism. Opening it every two days would be enough. You can build two types of cold-frames (brighter or shadier spots can help raise different plants – e.g. vegetables or cuttings). You can design your cold frame according to your own needs. There are no limits when constructing one so you can use your full imagination. The cold frame is perfect if you want to harden young plants. To harden them means to acclimatise them to harsher weather conditions, higher or lower humidity and increased air movement before it’s time to plant them outside. The cold frame will serve as the middle stage when you are transferring the plants from inside your house to the garden. The frame is a controlled environment so you can use it however you need. Using the cold frame in the summer allows you to provide certain plants with more heat before the season actually starts. 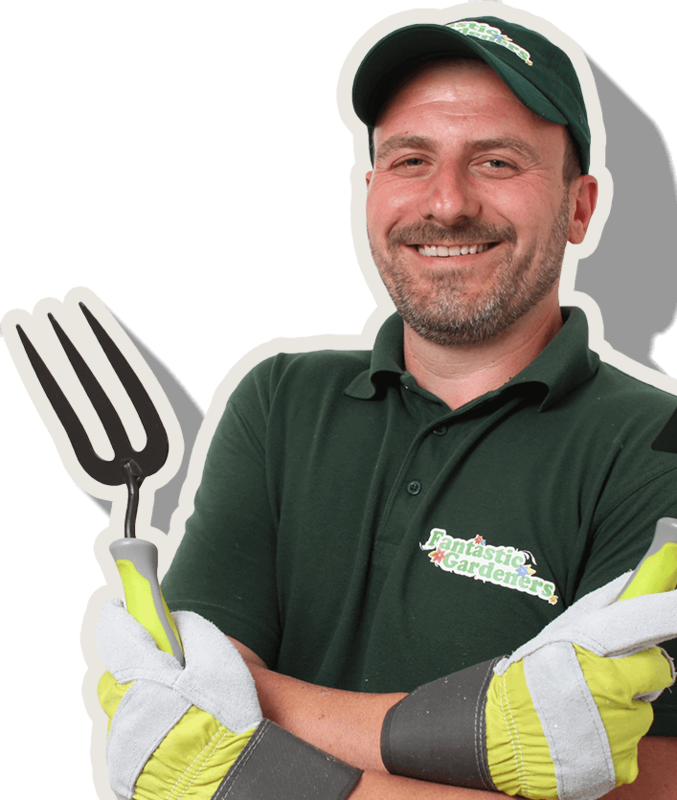 This is very useful when planting, for example, tomatoes and chillies. The increased warmth from the cold frame will encourage and speed up their growth. Another use for it during Summer will be propagating plants. No surprise heat waves or rainy days will be able to interrupt your gardening plans when you are using the cold frame. You can start from seeds, semi-ripe cuttings or young plants and adjust the conditions according to the needs of your crops. In the Autumn cold frames will protect the young plants and cuttings from unpredicted weather conditions like early snow or night frosts. You will also be able to extend your harvest season with at least 4 weeks. You can use your cold frame in winter to prevent alpines from rotting by shielding them from the rain and snow. You can overwinter the fresh annuals and keep them until spring comes. If you want to add some extra protection, you can place a layer of bubble plastic on the inside. It will protect the plants from frosts but it will reduce the light and ventilation as well. Greenhouses are a lot more popular in gardening than the cold frames. Due to the harsh weather for most of the year in the UK, there are many plants and crops that are only able to grow in greenhouse conditions and would never survive outside. Most growers turn to cold frames only because of the size factor but actually, there are many other differences you must take in the count before going for one or the other. The construction of a greenhouse is a fairly easy, similar to a cold frame. They are usually made of glass that is supported by either a wooden or an aluminium frame. The size depends on the crops you will be planting and how much space they would need to grow big and strong. The main function of a greenhouse is to allow the outside heat to enter but not to let it leave. And that is where the term “greenhouse effect” comes from. If you need to raise the temperature, even more, you can use a heater. This way you will create a perfect environment for plants which would need a lot more warmth to grow. They will be sheltered from the rain and wind. The structure of the greenhouse allows multi-level planting of crops and also there will be enough space for your garden tools. If you do not have enough space in your garden for a full-size greenhouse you can try and build a custom one which is smaller. But a lot of the main functions will be lost. You will not be able to walk around and no extra heat can be provided if it’s needed. So a full-size greenhouse is always the best option. Cold frames can offer you most of the advantages you can get from a greenhouse. But let’s take a look now at the main differences which will determine your choice in the end. You will get the same warming effects from a cold frame as a greenhouse but without the option to use an extra heater when the weather is too cold. There is simply not enough space to do so. Cold frames are not suitable for the whole life cycle of a plant. It can only extend the harvest period or give the green life an early start. The space inside is very limited. In addition to their small size, cold frames are usually built very low so you cannot use racks and you wouldn’t have any floor space. Cold frames can be designed as per all your special gardening needs. At first glance it may look like cold frames are just the smaller versions of greenhouses, even inferior sometimes. But bear in mind that they are specially designed for different purposes such as germinating, something you cannot do in a greenhouse. They are also perfect for small gardens and people who do not have the resources or the need to maintain a whole greenhouse. It’s cheap to buy, easy to build, easy to maintain and will fit perfectly no matter how small your garden is. The whole idea of the structure is to gather sunlight and warmth so the best position for a cold frame will be one that offers full sunshine and will shelter your plants. The frame has to face the south. With these conditions in mind, you can put it pretty much anywhere – against a shed, garage, greenhouse, your house or a deck. If you need the cold frame mostly for growing cuttings, it would be better to put it someplace shady. One of the many great things about cold frames is that you can build them from almost anything. The main idea is to have a solid material for the sides and a glass, or anything transparent, for the top. Most people use wood, but you can do it with bricks, polycarbonate, straw bales, PVC, blocks, and many more. It only needs to be solid and strong so it will protect your crops from the harshest winds. The lid can be a glass door or a window. If you cannot get one, simply take a sheet of glass or polycarbonate and secure it to a wooden frame. Don’t forget that you are constructing it as per your needs so if you need you can add handles. There are many ways you can trick that rare UK sunlight into staying a bit more in the cold frame and keep it warm. Paint the inside of the frame in white or cover it with aluminium foil. It will reflect the sun rays all day, ensuring enough sunlight. Another thing you can do, is to take a couple of water jugs and paint them black. Fill them up and place them inside the frame during the day so they will gather heat. The jugs will release warmth throughout the whole night. Regular maintenance is very important in order for the cold frame to work. In autumn you will have to clean it every 2 days at least from the fallen leaves and branches. During winter time, clean the built-up snow on the lid by using a sturdy push broom. The main idea is to get rid of everything that might block the light from reaching your crops in the cold frame. 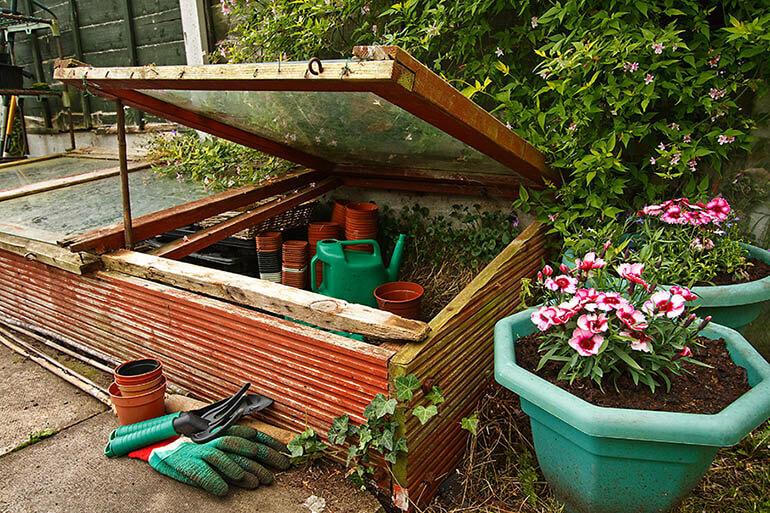 If you do not have the material or space for a cold frame or a greenhouse, don’t worry. Smart people way before our time thought up a couple of alternatives that are even easier to make and use. For individual plants and crops, you can cut a plastic bottle and put it over the plant or the seedlings. You cut down the bottom of the bottle and don’t take the cap off. Larger areas of plants can be covered by old window glass and panes raised on bricks or resting on sides of wood. Even though they will not have the exact same effect as a cold frame it’s a good, cheap and quick alternative for your garden. So here are all the basics you will need if you decide to try building and using a cold frame for your crops. Have you ever tried cold frame gardening? What are your favourite plants to grow there? Write about your experience in the comments down below and if you liked the article don’t forget to share it with your friends and family!